Helsinki is rapidly developing its former harbor areas for residential use. 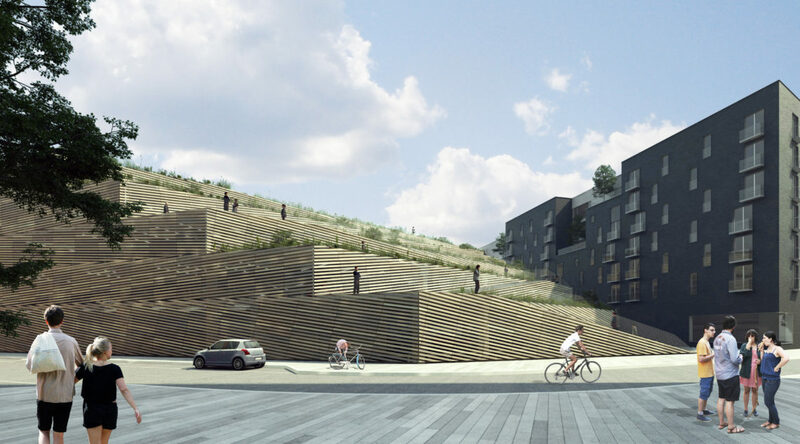 The vacated old cargo port and dock yard area in Jätkäsaari, right by downtown Helsinki, will contain housing for 17,000 people and workplaces for another 6,000. 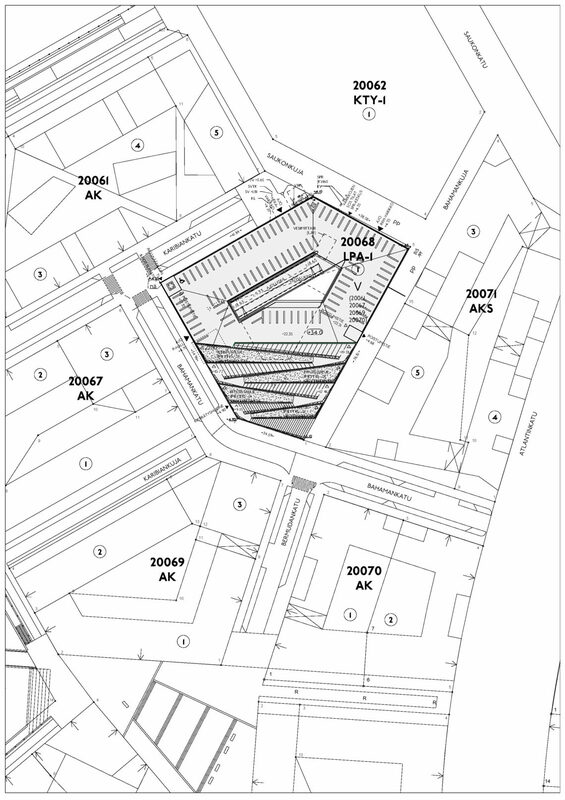 As building all the required parking capacity underground, below sea level would become restrictively expensive, the city is developing a series of architecturally ambitious over ground parking facilities in the area. 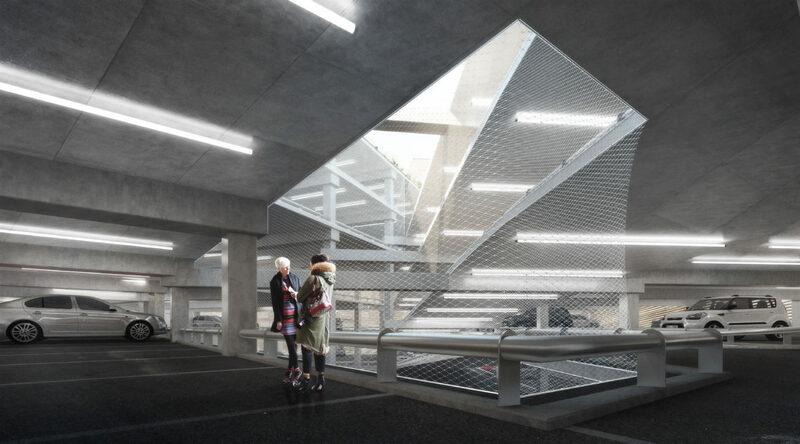 The new Saukonlaituri parking garage will consist of six circuits of parking around a central courtyard forming a light well. In the case of heavy storms the light well doubles as a storm water retainer and snow deposit. 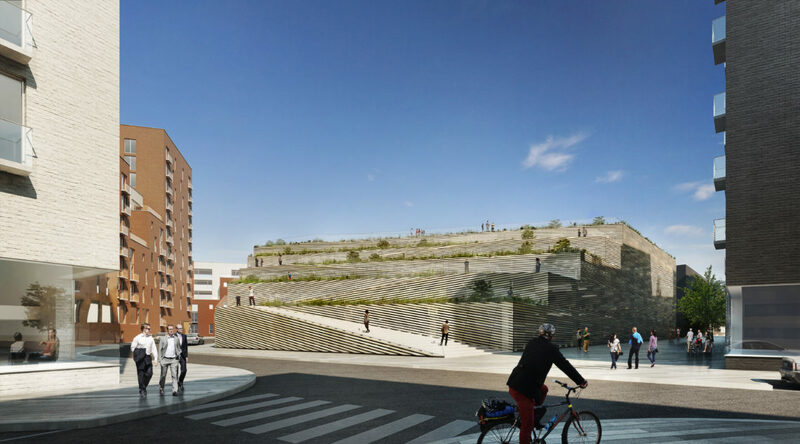 The southern side of the building falls back from the entrance square, stretching public space as a terraced park up five floors. 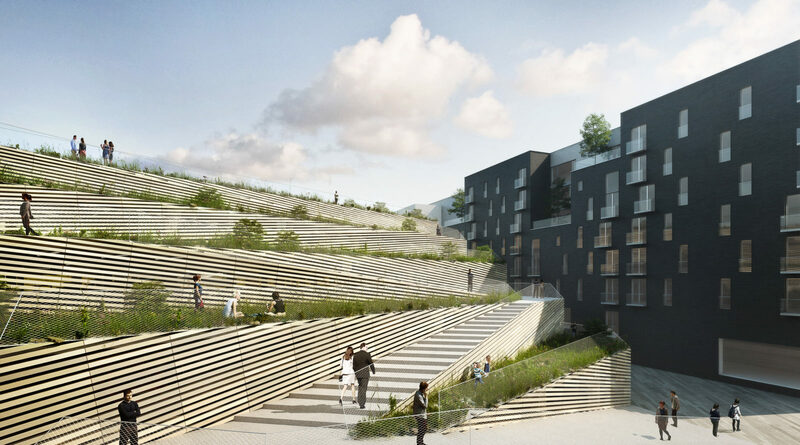 This solution also allows residents to hike to their cars across the sand and seaside grass reminiscent of the island called Saukko, with its outline long since disappeared in land reclamation and only presence today being in street names. The facade itself is made of bars of burnt clay in varying hues of natural sand, the material blending in softly with the neighbouring buildings laid in various types of brick.